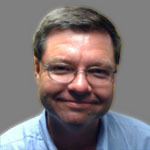 Jeff Hood wrote for The Atlanta Journal-Constitution from Oct. 2003 through March 2009. He covered NASCAR for the AJC from 2005 through 2008 and had a weekly NASCAR-theme radio show on WMOQ 92.3 FM in Monroe, Ga. from 1999 through 2005. In addition, Jeff wrote press releases and handled the P.A. for Lanier National Speedway in Braselton, Ga. from 1998 through 2004. MARTINSVILLE, Va. – Chad Knaus, the only crew chief Jimmie Johnson has known while winning six NASCAR Sprint Cup championships, isn’t on the chopping block. JOLIET, Ill. – As 16 drivers prepare to launch this year’s 10-race Chase for the Sprint Cup championship on Sunday at Chicagoland Speedway, this season’s new format already has each of them strategizing on how to advance to round two. HAMPTON, Ga. – Add Brian Vickers’ name to the growing list of NASCAR drivers willing to go on the record and admit that, when it comes to horsepower, engines built by Hendrick Motorsports are the class of the field. JOLIET, Ill. – This is a rare off-weekend for the Sprint Cup Series. But that didn’t stop Kasey Kahne and Kyle Larson, full-time drivers in NASCAR’s top series, from showing up in Chicago on Friday to participate in Saturday night’s Nationwide Series EnjoyIllinois.com 300. DAYTONA BEACH, Fla. – In the world of stock car racing, Daytona International Speedway is considered the sport’s grand stage. FORT WORTH, Texas – Leave it to flamboyant Texas Motor Speedway promoter Eddie Gossage to link fast cars to the graduation tune Pomp and Circumstance. DOVER, Del.– When Jimmie Johnson chased down Matt Kenseth in the final laps of Sunday night’s Coca-Cola 600, the defending Sprint Cup champion wasn’t exactly shocked when the driver of the No. 20 Toyota threw a block in an attempt to retain the lead. KANSAS CITY, Kan.– The fastest field in the 13-year history of Kansas Speedway will usher in the inaugural Sprint Cup race under the lights on the 1.5-mile oval Saturday night. TALLADEGA, Ala. – One of the most-anticipated qualifying sessions in the history of NASCAR will occur Saturday afternoon at Talladega Superspeedway. MARTINSVILLE, Va. – Denny Hamlin lost his ride for one race last weekend. But the Virginia native definitely hasn’t lost his passion and swagger.